A gift to the Wolf Conservation Center through your estate and financial planning is a great way to help ensure our innovative programs continue to support wolf recovery well into the future. The following provides some suggested methods and wording for remembering Wolf Conservation Center in your will. “I give $_______ (or a percentage of my estate) to Wolf Conservation Center, a New York Non-Profit Corporation located in South Salem, NY.” - Or - “I give the following described property to Wolf Conservation Center, a New York Non-Profit Corporation located in South Salem, NY: ____________________________. This bequest specifies how you want the funds to be used. For example, you may wish to designate your bequest for education or species protection. . If this is your desire, please contact us to ensure your goals and desires can be accomplished. Honorary or Memorial Bequest: This is a gift that pays tribute to or memorializes a person. We are pleased to honor your request and have many ways to grant appropriate recognition. 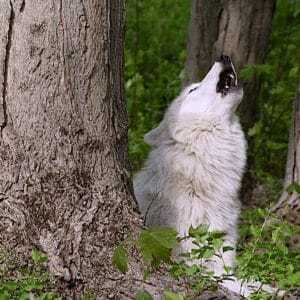 This bequest requires Wolf Conservation Center to hold the funds permanently and use only the distributable earnings. Your gift continues giving in perpetuity. As an example: “I give (amount, description of asset, percentage of estate, remainder, etc.) to Wolf Conservation Center, a New York Nonprofit Corporation located in South Salem, NY, for the purpose of contributing to the Wolf Conservation Center Endowment Fund in perpetuity. Already included the Wolf Conservation Center in your estate planning? We want to know! We value and thank you for the trust you have placed in us and want to ensure your wishes are honored. For questions about bequests or information on other options to include Wolf Conservation Center in your estate and financial planning, please contact Maggie Howell, Executive Director, [email protected] or 914-763-2373.